How we feel and how we look often seems to be a chicken-or-the-egg question. It’s hard to tell which comes first, looking better or feeling better. Certainly, one of those instances often arises after child-bearing or significant weight loss. But the desire for a better contour in the mid-section is not always prompted by any event, and it is by no means limited to women. A tummy tuck, known as abdominoplasty in medical circles, removes excess skin and fat, and tightens underlying muscles, to rejuvenate appearance in a place that many men and women would like to see improvement. One sign of the widespread nature of this desire for renovation is that abdominoplasty has been practiced since 1899. So, a lot of experience and refinement has gone into today’s tummy tuck. Particularly in the past 30 years, techniques for further improving contour and minimizing scars have accelerated, and the addition of liposuction to many tummy tucks has made results even better, and more customized to the needs of each person. Since the mid-1990s, healing time has been further reduced and even more natural-looking contour has been made possible by new suturing techniques. In many cases, a wide weight fluctuation, prior surgery, or childbirth can make tummy tuck a central strategy for improving body shape. In other cases, even consistent efforts at diet and exercise can fall short of a person’s goals just because of heredity or the process of aging. In these instances, a tummy tuck can be the culmination of an overall approach to get happier with how we look in the middle. As a finishing touch for good nutrition and exercise, it can sometimes be just the thing for transforming the contour of the abdomen to one that is proportional to a person’s body type, height and weight. Most healthy individuals can qualify for tummy tuck surgery, but expectations are a key factor for success. If we expect to keep a stable weight and envision a result that is particular to our own body, and not an unrealistic image or the expectation of another person, then chances are good that we qualify. Within a couple of weeks of surgery, when recovery has progressed, tummy tuck patients see a flatter, firmer profile and often feel a new sense of confidence. 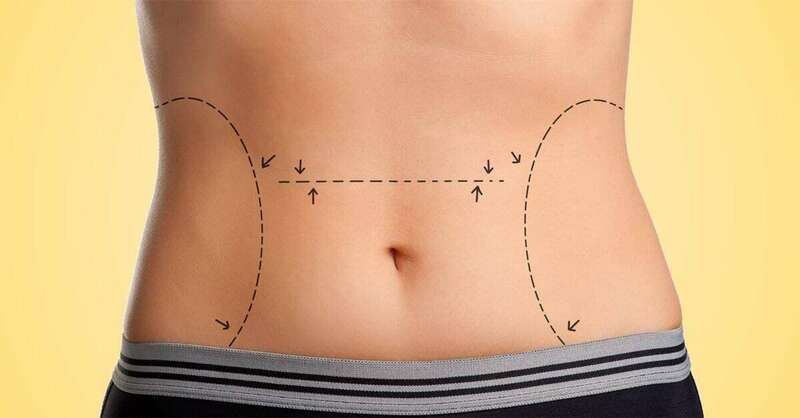 Because tummy tucks are at least as individual as any other plastic surgery procedure, because of the variety of tissue that is addressed and the complexity of the abdominal profile, each tummy tuck starts with a clear conversation. Have yours with an experienced, board-certified plastic surgeon who is sensitive to your needs and goals, expert and up-to-date on the most effective techniques. Just call us at 888-920-2090 or click here to schedule an appointment.